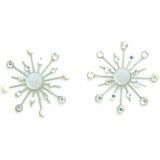 Sparkle Burst Brads 1.25" 6/Pkg - KAREN FOSTER-Sparkle Burst Brads. Add a classy touch of shimmer to your scrapbooking, card making and paper craft projects. 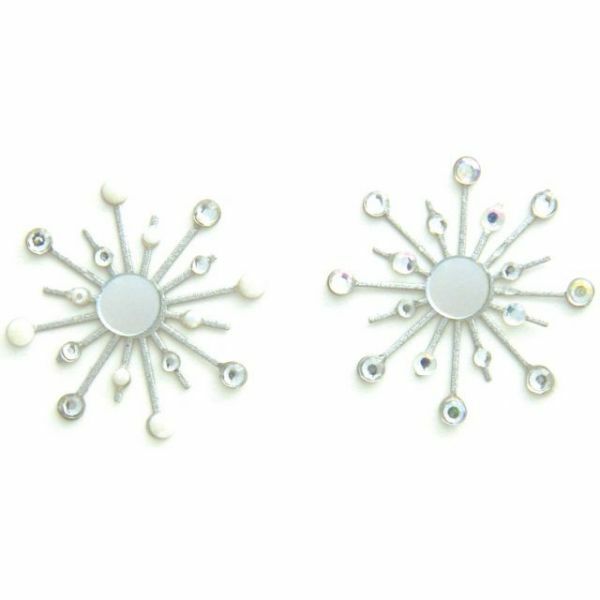 Package contains six 30mm sparkling brads of all clear crystals, white and black pearls with clear crystals or red, white and blue crystals (each set sold separately). Imported.